Are you thinking to take your Rottweiler out with you for the next road trip? Don’t worry we will guide you through few tips that will be helpful for you. Travelling with your Rottweiler is fun. But it is very important to keep him safe during the trip. Leaving your Rottweiler to wander in the car while you drive should be avoided. Securing your Rottie in the car guarantees safety for both, him and the people in the car as well as on the road. Depending on the time of your travel, stopping frequently at intervals is important. This will give your rottweiler space to go around and wind up his job. This will comfort your Rottie and make the car ride fun for him as well. Long car trips might make your Rottweiler tired and thirsty. Thus, keeping him hydrated will be a great idea. Carry a spill proof bowl along with you to avoid messing inside the car. But, don’t keep your Rottie thirsty for hours this may make him car sick. Spending long hours for quick food and drinks at a cafe by the road might bore your Rottie. A switched off vehicle turns into an oven instantly, thus leaving your Rottie in such environment makes him feel sick. Do not make the mistake to leave him alone in the vehicle for hours. Kids get over excited while on a trip. In such a situation, they tend to tease the Rottie and jab him. This should be avoided as such behaviour will make your Rottweiler stressed out and feel uneasy during the trip. Considering these important points will make travelling a pleasant experience for you as well as your Rottweiler. For more information on “how to keep your Rottweiler healthy?” or, “what is the perfect food for your Rottweiler?”, to answer all these questions, contact Coalfire Rottweiler. 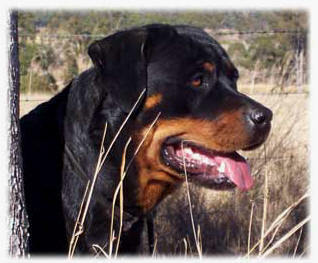 A Rottweiler is said to be a fast learner and an obedient dog if trained perfectly. During the training session, many mistakes could be made either by you or the trainer. 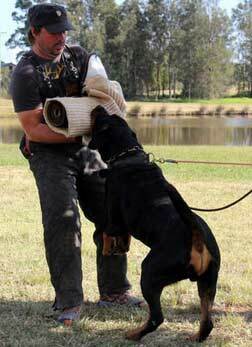 Here, we will discuss the common mistakes that can be made while conducting your Rottweiler’s training session. Getting frustrated during the training session when your Rottweiler is excited and not paying attention is one of the biggest mistakes every owner makes. A training session should be filled with loads of fun. Disciplining your Rottie at that time will turn out to be a wrong decision. Developing a sense of fear in your Rottweiler’s mind will never let you accomplish what you are trying to train them. A thunderstorm or loud noise tends to scare your Rottweiler. In such situations, your Rottie might want to come to you or in some cases pee on the floor as well. It is your duty not to react in an over-protective manner at this time. Ignore their concern, this builds up a sense of normalcy in them. When you are training your Rottweiler to “sit”, simply just say “sit”. Many Times we tend to speak out long phrases like “come on sit down sweetie”, this should be avoided. 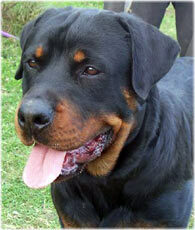 Talking to your Rottweiler during the training session will confuse him, thus, he will not learn anything. Jerking or pulling of the leash is a common mistake made by Rottweiler owners while training him to walk. 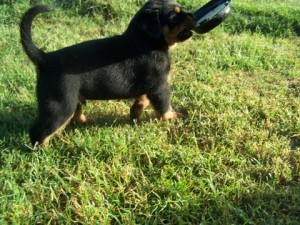 This causes a tug of war between you and your Rottie, he takes it as a game and this gets you nowhere. 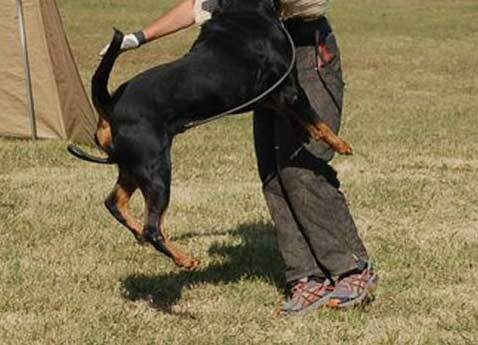 The best way to tackle such situation is to stand firm on the ground while your Rottweiler pulls, this will make him understand that you are the owner and not him. For further information, contact Coalfire Rottweiler. We are the best Rottweiler breeders in Queensland. 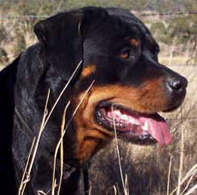 Rottweilers barking nature is inherited from their ancestors’ days in the wild. Sometimes it is observed that your rottweiler’s bark may become excessive and create nuisance not only for you but your neighbours as well. So, it is very important to teach your dog to first become “quiet” and then bark or “speak” when you command. Here, are a few training tips that you can carry out to teach your dog to speak. 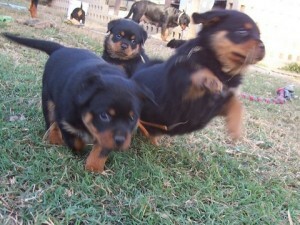 Firstly, it is important to get your rottweiler’s attention. Then call out his name in a happy tone and show him his favourite stuff. Prompt the command “speak” in a calm but excited tone. Give your dog some time to respond back and then repeat the command again by showing him the toy. You can also knock at the door if any treat is not working out. Keep on repeating the command until he responds back to you. Once he does so, reward him with a treat. Or withhold his feed until he barks for it. If you find that your dog has mastered the command of “speak” as well, then try it out without rewarding him with a treat. This encourages him to listen to you even though you do not have a treat. You can also substitute the treat by praising him whenever he reacts to your command. It is important to teach him to be quiet. This can be done by using these simple steps: When your dog barks excessively on the ring of your doorbell, sit in front of him and try to grab his attention with a sound of a clap. Once he is looking attentively towards you, say “quiet” and throw him a treat. Try this out for about two to three times and then repeat it again for a few days, so that your dog masters this command. 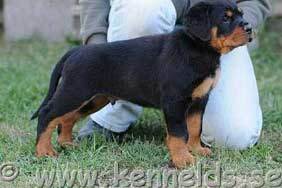 Always be sure he has no valid reason to bark, rottweilers do not generally bark for no reason. 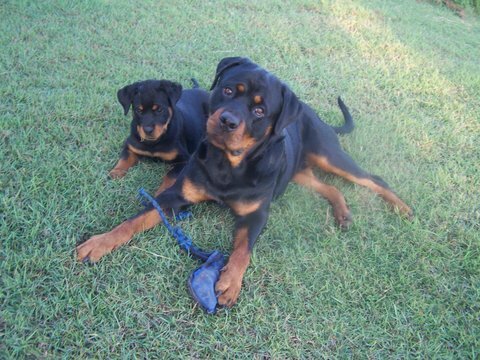 Training your rottweiler requires patience and lots of hard work, for making him obedient and well mannered.If you are thinking to get your rottweiler well trained, then come to Coalfire Rottweilers. 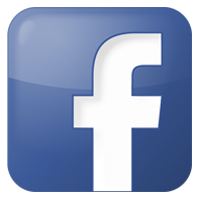 Here, we provide our customers with the best of our services. If your dog has already done his work by chewing on any random object, then yelling or shouting at him at that moment is not recommended. This has a negative influence on your dog and encourages him to respond in the wrong way. So, it is important for you to maintain calmness in such a situation. If your rottweiler is adamant and not wanting to shift his focus from the chewed object, then showing him a treat or his favourite toy will definitely do the trick. Boost up your energy and confront your rottweiler by letting him understand that the object he has chewed is yours and not his. This helps your dog to release the object instantly. 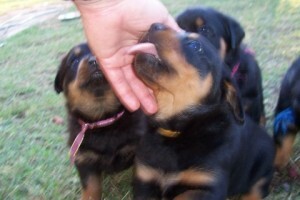 The habit of chewing in a rottweiler is seen from their puppy age. This is because when the puppy is teething, it tends to bite on whatever comes on its way. So, it is recommended that you purchase for safe chew toys and make your puppy understand that he needs to chew the toy and not on any random object. If any of the above tricks does not work in fixing the habit of gnawing in your rottweiler, then it is wise tot ake up preventive measures, for instance, coat the furniture or any other items with a non-toxic material and keep your dog away from it. This deters his taste and thus, prevents him chewing on your objects. 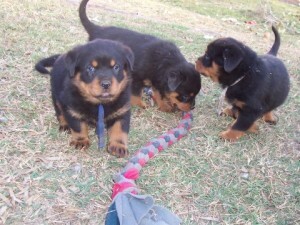 Here, in Coalfire Rottweilers, we offer you with the best training for your Rottie. 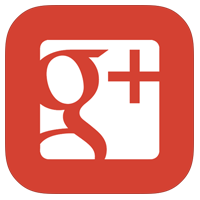 So, contact us today. We are here to help you!